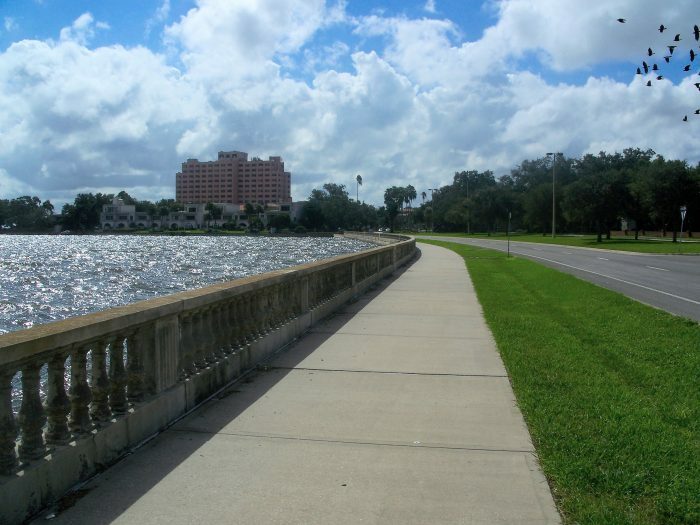 The Bayshore Linear Park Trail is claimed to be world’s longest continuous sidewalk, stretching 4.5 miles along the waterfront from Gandy Boulevard at south to Columbus Statue Park at north. You get spectacular views of the Bay and the downtown skyline. In the Old Hyde Park area, you’ll also pass by some of Tampa’s most prestigious homes, surrounded by huge trees and nice gardens. You might even spot some manatees in the shallow waters of the bay. The route features water fountains and fitness stations, and there are markers in every mile, half mile and kilometer. The University of Tampa, a great representation of Moorish Revival architectural style and a local point in the city, is located 0.5 miles north from Columbus Statue Park. Northern terminus: Bayshore Blvd. & W. Platt St.; Southern Terminus: Bayshore Blvd. & Hawthorne Rd.